As i was posting about the film Mandela : Long Way To Freedom I receive an alert from the New York Times and the Guardian : Nelson Mandela, the towering figure of Africa‘s struggle for freedom and a hero to millions around the world, has died at the age of 95. From prisoner to president , and in our violent times, it is so inspiring to believe in a man who led the fight for freedom and against oppression at the cost of his own , and achieving his goal in a non violent way. I just saw the biopic Mandela : Long Way to Freedom . It is an essential movie and the best biopic i have seen so far . 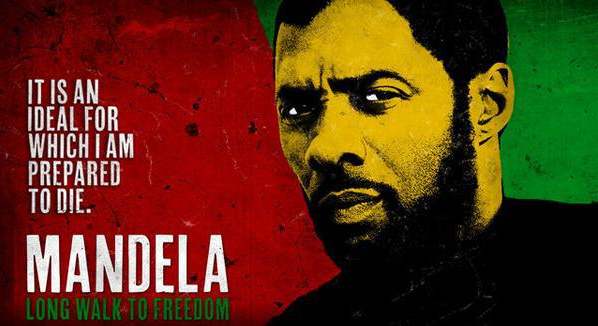 Idris Elba who plays Mandela , deserves an Oscar for his performance. Here is the trailer . Once again, I take the recomendation. 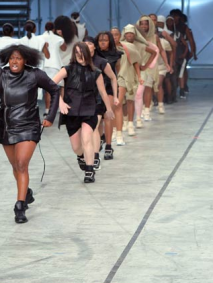 Step team at Rick Owens.